Single Entry Business Visa: Single Entry Business Visa is valid for 60 days and monthly extendable to a total stay of 6 months. This visa will automatically expire after one time entry to Indonesia. Multiple Entry Business Visa: Multiple Entry Business Visa is valid for 12 months and Visa Holder must leave the country at least once in 2 months after every entry. As soon as we will receive all required documents from the applicant, we will start filing visa application to Immigration office in Jakarta. It usually takes 5 working days to obtain the Calling Visa/ Approval Visa letter. After approval in Immigration office, this letter will be directly emailed to nearest Indonesian Embassy or Consulate by Immigration in Jakarta. We will also email a copy of this letter to the applicant. After that applicant need to visit the above mentioned Indonesian Embassy or consulate for further stamping of visa. 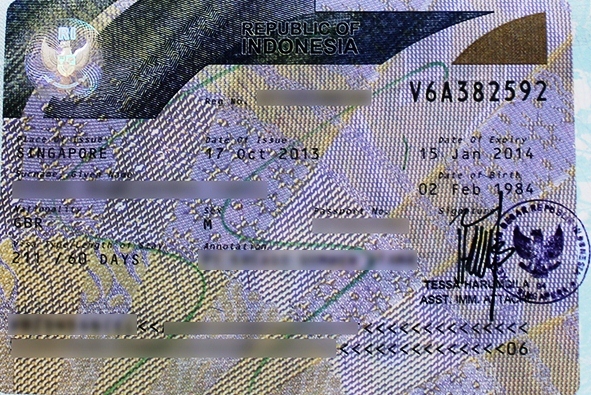 This visa is valid for entry to Indonesia within 3 months of date of issue. I would like to apply a Multi Entry Business Visa however, I do not have a sponsor company to support my application. Can your company arrange a sponsor company and if so what would be the total package price? our business partner want to apply multiple entry visa but this partner not only working for our company so we don’t want to become his / her sponsor. Can he / she apply multiple entry visa to Indonesia embassy at this country? Please advice. what is the documents required to apply this multi entry visa ? what is the fee involve here to apply this multi entry visa ? what is the lead time to get his visa? Can we get detail on the difference between “business” on a business visa and “working” which is not permitted on a business visa. Are you able to provide detailed advice in that regard? Business on the Business Visa refers to the business meetings, seminars and other short terms business transaction which does not involve income of any kind. On the other hand applicant of Work Permit will have a permanent work in the company, with a Job Title of his/her own and will receive salary or income from the company. Should you require further information on this regard, please do not hesitate to contact us via email. how about for Director who receive salary, but he only go there maybe one month once for meeting? at the same time, he already got APEC on hand. he still need apply KITAS/Business VISA under this situation? In this case the Director is receiving salary so he need to obtain the work permit (IMTA) and stay permit (KITAS), even if he is only visiting Indonesia once a month. Should you require further information on this matter, please do not hesitate to email us on [email protected]. I have a query , what is the total limit of days of stay in Indonesia on on-arrival business visa for a year. I have already stayed for 22 days in Nov 2018 and plan to travel on business visa for another 42 days between January to May 2019 . Also when does the year limit comes into play ?, starting of my 1st entry into Indonesia till 365 days or start of a calendar year from 1st January will reset the limit of days of stay ?